As a longtime resident of Area 4, I know this region very well. I understand the challenges that face our densely populated area. I embrace our district's diversity and uniqueness while advocating for issues of importance to our quality of life. In the detailed map above, the purple area is GCC Area 4. 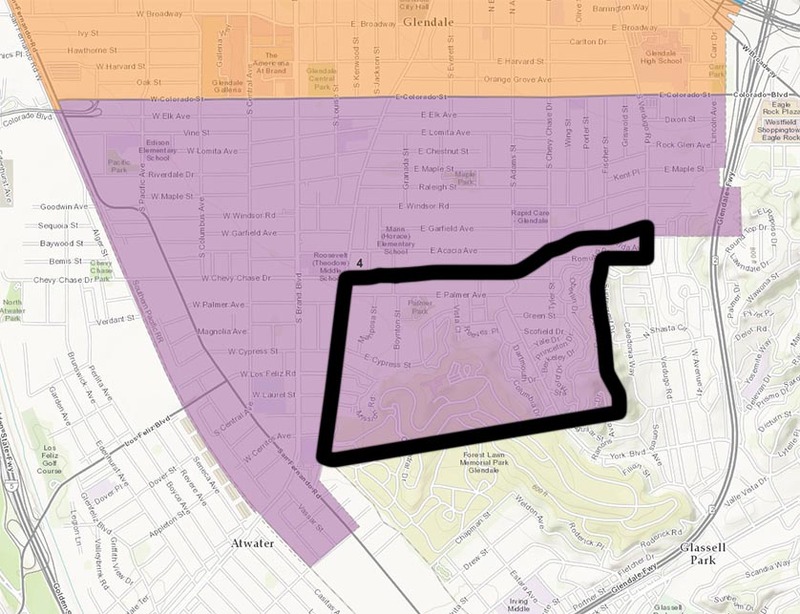 Voters residing in the purple area can vote for Rondi. The black border indicates the region represented by the Adams Hill Neighborhood Association. 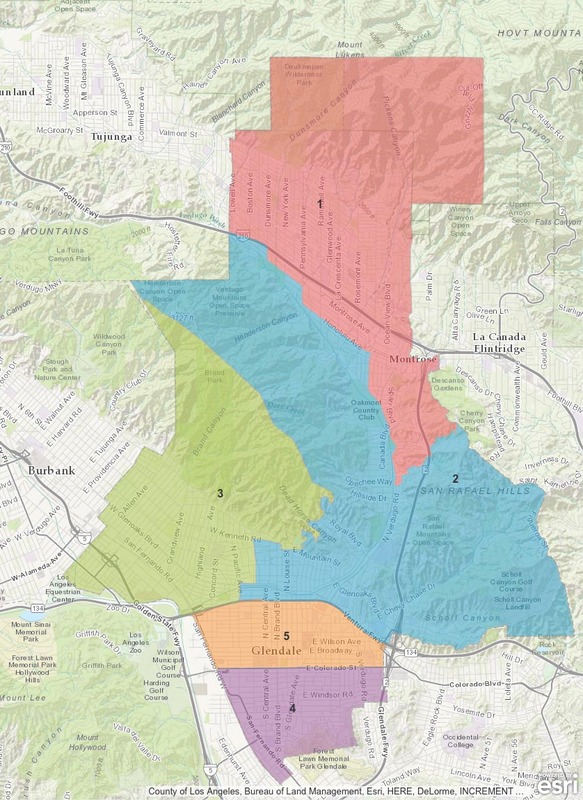 Below are all of the GCC Areas for all of Glendale. Only voters residing in Area 4 will be able to vote for Rondi. Click here to see a map with still more detail in a new window. This link is provided by the Glendale Community College website.